Is it time to quit Facebook? Is Facebook still worth using as a music marketing tool? This is what we aim to help you decide in this two part guide. If you haven’t read it already, you can read the first part here. In there we look at why regardless of what you decide, you shouldn’t delete your Facebook brand page. We also looked at the main reasons why you might want to quit using Facebook as a marketing platform you actively work on. Today though we’re going to do the opposite: look at situations where it’d be worth you continuing to use FB as a music marketing tool. By the time you’ve fully read both parts, you’ll have a better view on whether or not it’s worth you investing time into Facebook on a business level. While Facebook marketing will show little to no results for those just getting started and have no budget, if you’ve already got a big community who interact with what you say, there’s no reason not to keep using it. 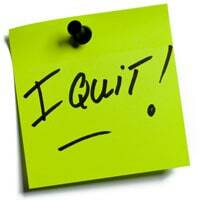 The core reason behind quitting Facebook marketing for any one would be because it’s not benefiting you in any way. Either it’s not getting you any new fans, or it’s not keeping your current audience engaged with you. If it’s achieving one of these goals however, it has a use. As long as it’s worth more to you than the time you’re spending (and it’s getting you good results), keep it up. Now one of the biggest reasons there’s been a lot of talk going around the web about Facebook no longer being effective, is because the platform has changed. A few years ago it was easy to create a page, share it a few times to get lots of new followers, then send your updates which would reach a large part of your audience. Now however, the average Facebook brand page update only reaches under 7% of your audience (see last guide). Furthermore, only a percentage of that 7% will go on to interact with it in any way. If you want to reach the audience you’ve already built on Facebook, you need to pay for this. That means paying to make your posts reach people who already like your page. Now while this may sounds pretty expensive to some, if you have the money to spend on marketing your music, this could be a great opportunity for you! While others are out quitting Facebook because they don’t want to pay, you can pay to get in front of people and reach more of your fans than your competitors can. By spending £3 / $3 on a boosted posts, you’ll reach a lot more people than you would organically. For example, let’s say I reach 100 people organically. With a £3 promotion I can reach say 1500 of my fans now instead. This leads to a lot more likes and shares, which in turn creates even more organic reach as a side effect. If you have the money to spend on Facebook advertising, sticking with Facebook could be a good option for you. Even $6 a week ($3 each on two important posts) can help get your messages a lot more out there then it would have. You need to have at least 500+ Facebook fans to make spending this worthwhile. If you have less, possibly spend less. Note: Don’t pay to promote all of your posts, only the ones which are important and those which could potentially make you money back. This means you don’t over spend on this side of things while still reaching your audience when needed. While this isn’t something I’d recommend for most musicians, if you have budget to share and want to pay to reach new people and get them in front of your music, you might want to use Facebook ads. Now, be warned that this isn’t something you’ll be able to throw $20 at and get really good results instantly. When paying for Facebook ads, you’ll usually have to pay based on how many people click your advert. There are other options, but this is the one most beginners with Facebook ads tend to feel comfortable with. The strategy in short is to find other pages which likely has the type of audience that will also like your music, then target those users with your advert. It’s advisable to compare yourself to others in these ads, for example ‘if you like Elvis you’ll love *you name’s* new album.’. You should also complement this with an interesting image (you should always test images to see which type performs best) and a call to action. When people click your advert, you should bring them back to your page where they can hear a song or two of your music. Also give the option to sign up to your newsletter if they want more free songs sent to them instantly. In all honesty, while it could be worth testing if you have spare budget, there are better things you could spend your money on when you’re starting out and your budget is still limited. Collaborations with bigger musicians for example, or exposure on other more relevant platforms. You might be able to start on Facebook advertising cheaper, but the results will also not usually be anywhere near as effective. Generally, they’re more powerful when advertising hobbys, products and services rather than music. So, after reading the above and the last guide looking at the counter argument, what do you think is the future for you and Facebook? 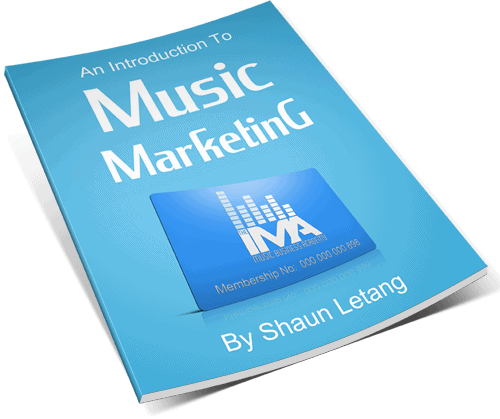 Are you going to continue to use it to market your music? Or will you now be spending your efforts elsewhere instead? Let us know in the comments below. Don’t pay for likes, but pay for visibility. It’s important that the content you share is worth sharing though. Otherwise you’ll just get sympathy likes every now and then. I’ve wasted about 1400$ on Facebook so far and I am not happy with results at all. Yes I have 6000+ likes now, but most of these people don’t care much. Very few really interactive and genuine fans discovered my band from Facebook paid ads and post promotions. And of course income generated by this was at times less than wasted on this promo (it’s hard to analyze streams of income, but in my case I am pretty sure that Facebook generated me couple of hundreds bucks at best or even less). So I think that I quit now. Anyway I will still use personal page as it seems to generate much more interaction. I don’t have near as many fans but I also find Facebook a dead space. My site now looks abandoned though. Which isn’t good, but I also don’t want to cancel it. What I’ve been doing lately is posting a promotional piece on my music page – an ad for an album or EP perhaps, or a promotional piece incorporating a short story – and then boosting it at £1 per day for around 14 days. The response is fairly encouraging and I get about 100 post likes and 10 fans liking the page each week. Whilst it’s not a colossal response, and I’m never going to become as famous as Madonna by doing so, it’s a step in the right direction and it stays within budget. – OK sometimes I’ll make that £2 a day if I’m feeling lucky; but I usually stay well within my self-set Facebook advertising-budget of £600 a year. While I see Facebook as an important publicity tool, it’s only a single cog in the publicity mechanism. – I like to keep my finger in a number of pies; but not go overboard and dilute my online presence. The balance can be a tricky one to get right, but – hopefully – so far so good.